Font size The current font size is 100%. Increase by 25% the site font-size. Decrease by 25% the site font-size. 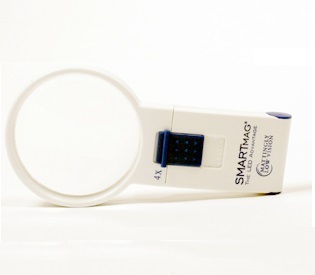 The brightest white LEDs (when compared to European manufacturers of LED magnifiers*) are used in the SMARTMag® LED hand-held magnifiers. Your patients will enjoy the enhanced contrast. 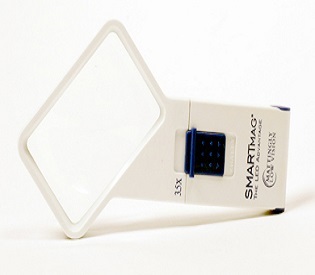 The SMARTMag LEDs give a broad, even field of light that have no purplish or blue “bright spots”. Expanded power range for best selection for patients. The hand-helds are available in 12 powers, from 2.5X through 14X. 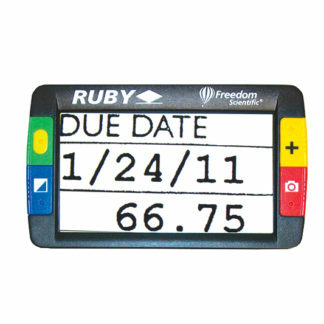 The magnifiers are labeled with both “X” and “D” ratings. 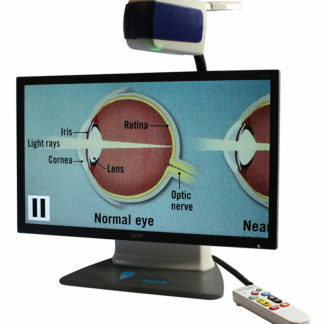 Cases are included with all LED hand-held magnifiers. Heavy duty boxes protect the magnifiers. Durable reinforced contrast-blue switches on all powers. White mounting and handle. LEDs give long battery life. Uses three “AAA” batteries. LEDs warranted to never burn out. 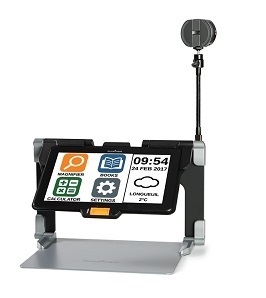 Large print picture instructions and warranty included in all magnifier boxes. Battery compartments have high contrast battery directional images. 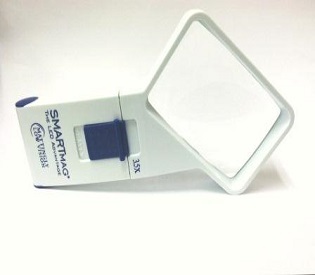 We think you will agree with us that the SMARTMag® hand-held magnifiers are the best LED hand-held magnifiers available. Learn how to easily setup and manage your Google Home smart speakers! Meet Alexa, Amazon’s smart voice assistant! Canadialog is dedicated to a single passion of contributing to the well-being of people with visual impairments by providing high-quality low vision and braille solutions. Through innovative products and accessible services, we want to make life easier life for these individuals by promoting communication as well as social, personal and professional independence. Visit our Youtube channel - This page will open in a new window. Visit our Facebook page - This page will open in a new window. Visit our Twitter page - This page will open in a new window. © Canadialog 2019 All Rights Reserved.